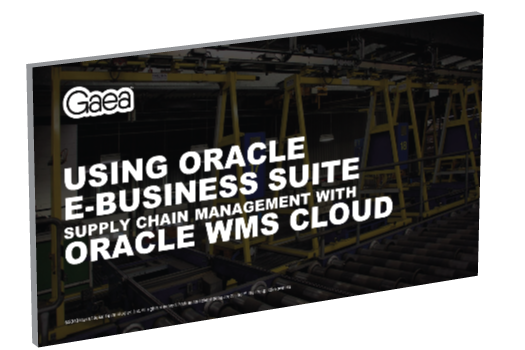 Use Oracle E-Business Suite Supply Chain Management in conjunction with Oracle WMS Cloud. This webinar shows how easy it is to use Oracle WMS Cloud with your existing Oracle E-Business Suite Supply Chain Management applications, and demonstrates the inbound and outbound process flows. Gaea has successfully delivered end-to-end Oracle SCM and WMS implementations to large clients around the world. We have great relationships with Oracle Supply Chain Product Strategy, Oracle Development, and our clients. Gaea founders were original architects of Oracle Supply Chain products. Gaea has one of the largest, most experienced Oracle WMS consultant pools in the world. Just ask our clients. Zebra worked with Gaea for their worldwide rollout of Oracle Warehouse Management.